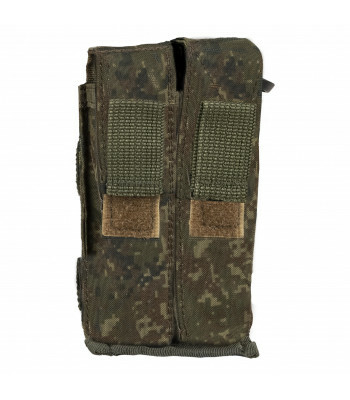 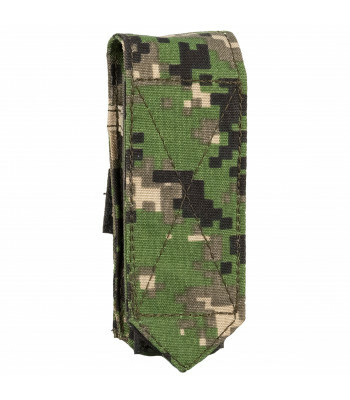 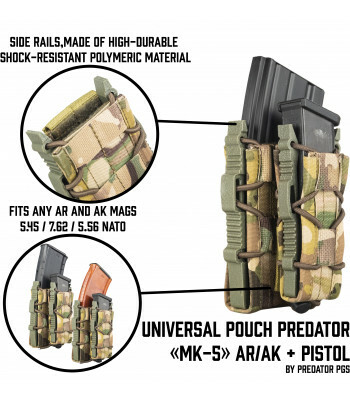 Here you can find pouches for your secondary gun - handgun. 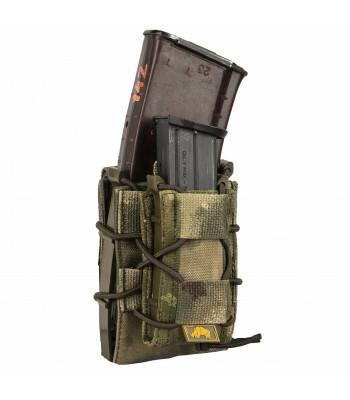 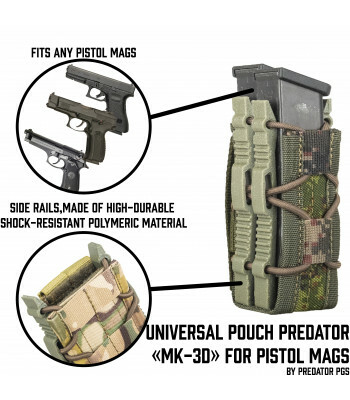 Most of this pouches are universal and will fit any mag - PM, Grach, Glock - doesn't matter. 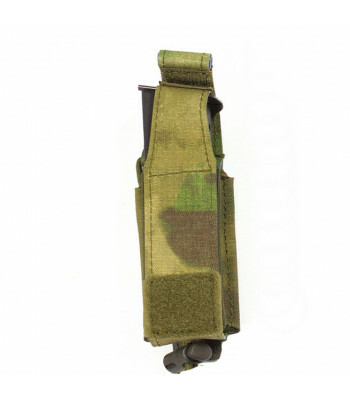 - It has two pouches, closed valves with a textile fastener "contact. 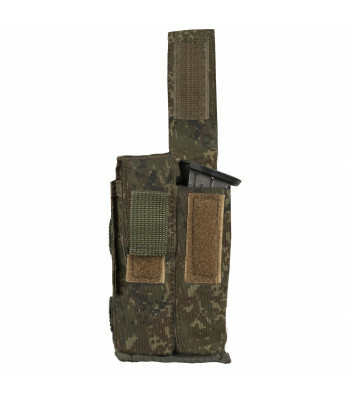 "- Allows you to place the stor.. 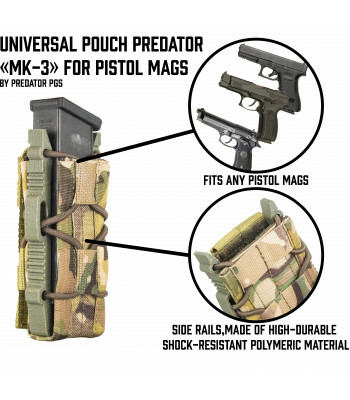 This is double compact pouch for the pistol mags. 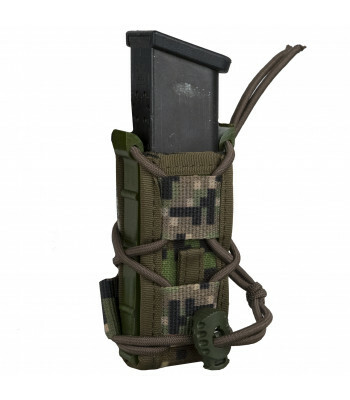 It's universal and can be used, as for Russian Pis.. 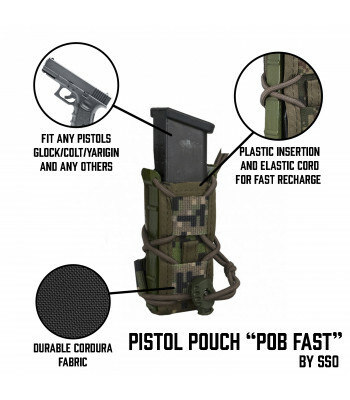 Compact, fast Pistol Pouch - it will works great, when you need maximal speed, during recharge. 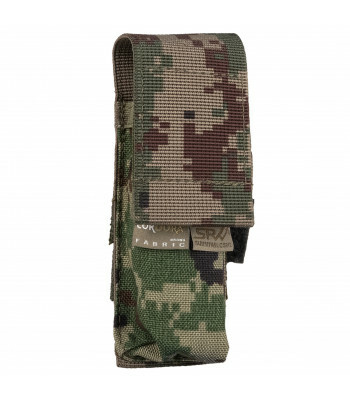 Used.. 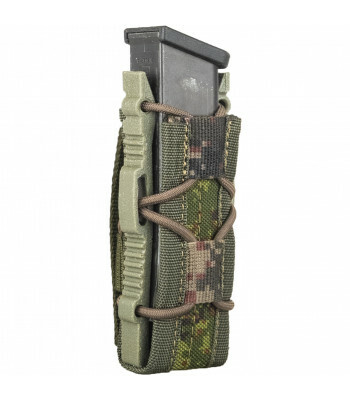 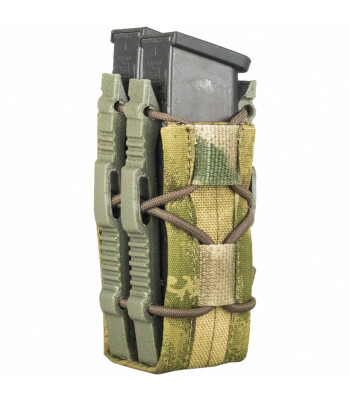 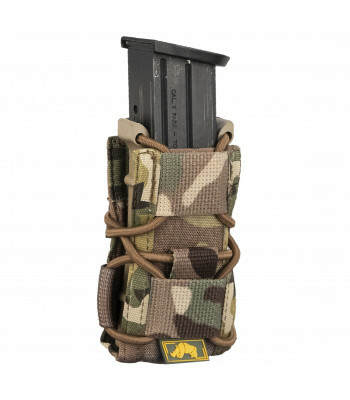 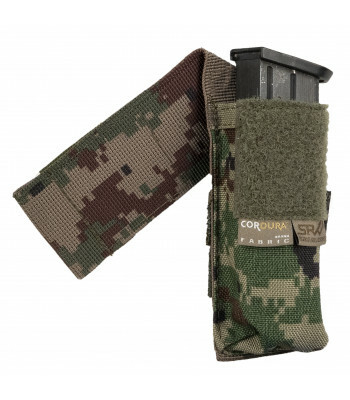 This is single compact pouch for the pistol mags. 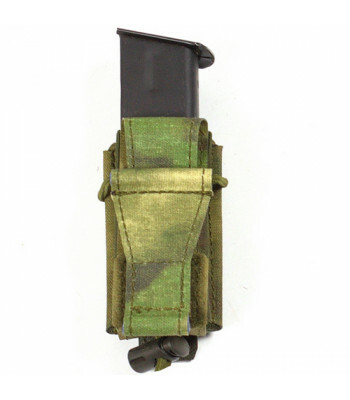 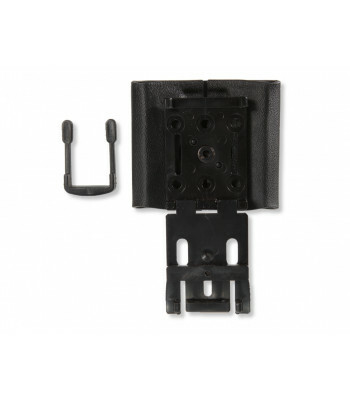 It's universal and can be used, as for Russian Pis..
Poucher double plastic with fastening Tek-Lok. 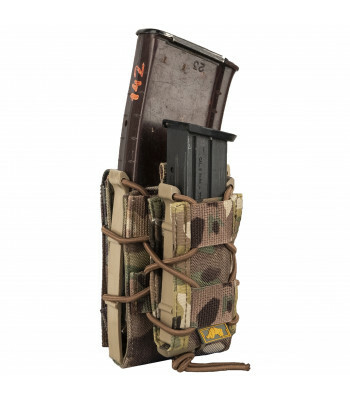 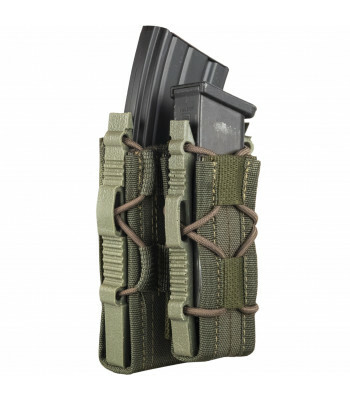 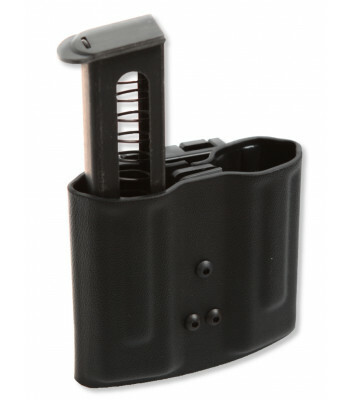 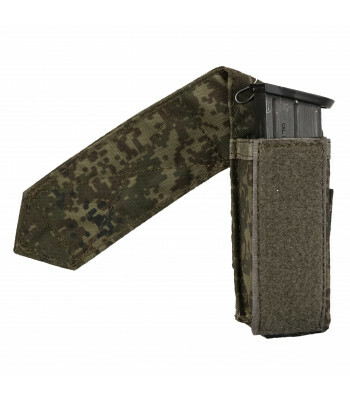 Designed to carry two spare magazines for the p..
Poucher double plastic №3 with fastening Tek-Lok. 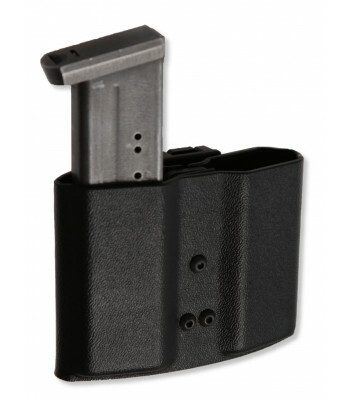 Designed to carry two spare magazines for pistols ..
OVERVIEWPouch for 1 mag. 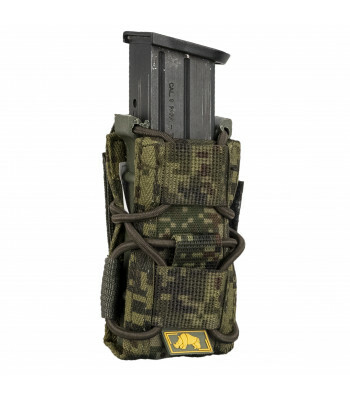 pistol mag (M1911, PYa, Makarov, Glock and etc)DESCRIPTIONFeatures include:.. 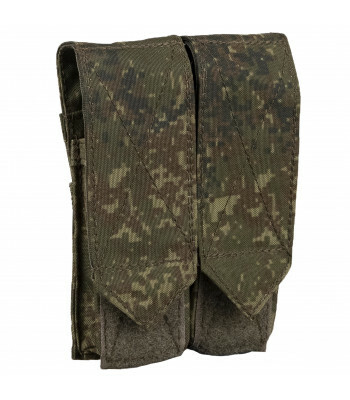 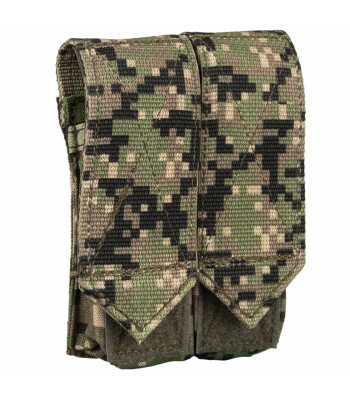 Reverse Flap pouch for Pistol Mag "Uhvat Mal"
In a lot of cases as SF operatives, as IPSC players and airsofters pay attention..